Do you have an old sink and planning to replace it with a new stylish one? Is your bathroom tub creating problems and you think replacing it with a new one will be a better option? Are you looking for a professional plumber who can provide you reliable sink and tub replacement services? 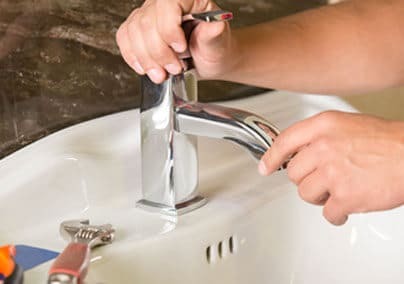 Well, you have come to the right place because at Pardue Plumbing we are providing the best replacement services for sinks and tubs. Whether it is a sink in your kitchen or bathroom, just give us a call and we will meet your expectations in the best possible way. Here are the services you can get from our experts. There are many people who have invested in stylish tubs and sinks but they are unable to install them because the plumber they have hired does not have the tools or expertise required to install that sink. With us you will not have to deal with such problems because our team is highly skilled. They work with the latest tools and equipment for the replacement of sinks and tubs. Whether you have a vintage or modern sink, our experts will install it with perfection without any issues. It often becomes hard to find out the real cause of a problem at your sink and tub. We can inspect the real issue in no time, and we will always guide you in a proper way. If your sink and tub can be repaired, we will repair them, otherwise replace them for you. We don’t only offer the Sink and Tub Replacement but also the remodeling services of your bathroom. Isn’t it amazing to get a number of facilities and services from one platform? We have the design experts who will make your bathroom look more appealing. Our team will install the well-designed sink and tub in your bathroom that will enhance the overall look of the house. If you are in the search of the best Sink and Tub Replacement services, we suggest you to call our experts. Our services are reliable and also affordable. Our mission is to make our customers happy. We hope that our professional dealings will gain your trust.